Acorn Consulting Services, LLC offers analysis and engineering consultation services for complex building projects including commercial office buildings, healthcare facilities, institutional laboratories, and clean manufacturing facilities for the semiconductor and other advanced technology industries. Building Systems Analysis: HVAC and Refrigeration, Process and Power Piping, Plumbing Systems, Standard of Care in Design and Construction, Chemical Exposures in the Workplace, Cleanroom Design and Performance, Codes and Standards. Litigation Support: Forensic Analysis, Strategic Litigation Consulting, Trial Demonstratives, Expert Testimony. William R. Acorn is the founder of Acorn Consulting Services, LLC, an engineering firm. 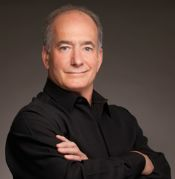 As a consulting mechanical engineer, Bill provides project analysis, forensic reconstructions and litigation support services relating to the design, delivery and functioning of high-tech manufacturing facilities, semiconductor fabrication facilities, institutional laboratories, data centers, health care facilities and a variety of commercial buildings. He is a recognized expert in the evaluation of deficiencies in HVAC systems, clean rooms, piping systems, refrigeration systems, construction defects and building and fire code compliance. He represents both plaintiffs and defendants. Bill has more than 40 years of experience as a professional engineer and is a recognized expert in assessing, evaluating, remediating and providing testimony on complex project design, construction and operational matters. His consulting expertise has been influential in shaping approaches to code compliance and life safety in semiconductor and similar advanced technology facilities. Professional Engineer: Arizona, California, Colorado, Illinois, Iowa, Nevada, New Hampshire, New Mexico, Oregon, Texas, Utah and Washington. Alliance for Construction Excellence (ACE) – Arizona State University, Tempe, AZ. University of Arizona - Bachelor of Science “With Distinction” in Mechanical Engineering, 1971. Bill is a visiting lecturer at the Arizona State University Del E. Webb School of Construction in Tempe, AZ. In addition, he is an advisor to CREATE, ACE the Alliance for Construction Excellence and the IAB – Industry Advisory Board all affiliated with ASU. As a visiting lecturer in the Department of Mechanical Engineering at the University of Arizona, Bill lectures on the analysis and design of environmental control systems (HVAC) for buildings. In addition to teaching, he remains current and hones his skills by attending a wide range of technical and managerial seminars and workshops to update his technical expertise. Professional Mechanical Engineer, registered in the States of Arizona, California, Colorado, Illinois, Iowa, New Mexico, New Hampshire, Nevada, Oregon, Texas, Utah and Washington. Bill is also registered with the National Council of Examiners for Engineering and Surveying NCEES (Certificate No. 6999). He has been recognized for technical achievements, innovation and foresight by peers, associates and clients, and has achieved the status of Fellow in the industry-leading professional organization, ASHRAE. Board Certified Diplomate in Forensic Engineering granted by the National Academy of Forensic Engineers (NAFE). Mr. Acorn holds a U.S. patent for a unique, linear control damper widely used in the cleanroom industry for the management of process air flow. Code Compliance for Advanced Technology Facilities - A Comprehensive Guide for Semiconductor and Other Hazardous Occupancies. 1993, Noyes Publications – considered the pre-eminent text used by industry worldwide. Library of Congress catalogue number: 93-28549. ISBN: 0-8155-1338-0. Semiconductor Safety Handbook - Chapter 9, “Building and Fire Codes Impacting the Semiconductor Industry” - edited by Richard A. Bolmen, Jr., 1998, Noyes Publications. Library of Congress catalogue number: 97-24032. ISBN: 0-8155-1418-2.